Support Lucky Dog Rescue by shopping at Amazon. Click our banner ad below to shop for products using Amazon Prime benefits. 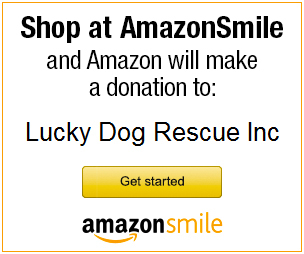 Amazon donates 0.5% of the price of your eligible AmazonSmile purchases to Lucky Dog Rescue.